CAOT-BC staff (Managing Director and Service Coordinator) work on behalf of members to deliver chapter-specific initiatives that affect your practice. Staff work closely with the CAOT-BC Advisory Committee to promote information sharing and coordinated planning on provincial issues. Tanya has worked as an OT since graduating from UBC’s first MOT class in 2006. She has worked in both public and private practice areas spanning acute care, slow stream rehab, and community based OT in her career so far. She has worked in private practice community rehabilitation since 2009. Her primary practice areas have included spinal cord injury rehab, brain injury rehab, and complex multi-injury rehab planning and case management. She currently works in her own practice focused on providing environmental adaptations in peoples living spaces to improve accessibility and functioning in her clients’ daily lives. 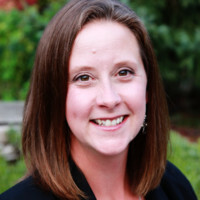 She also provides Cost of Future Care Assessments through her practice and has been qualified as an expert in OT and for the purpose of Life Care Planning in the Provincial Court of BC. Since it started, Tanya has recognized the importance of volunteering for CAOT-BC. She has enjoyed actively participating in subcommittees and working groups with the Private Practice Business Network over the years. Laura works as a case-manager and active rehabilitation therapist with individuals who experience mental illness, neurological conditions, low-vision, and a range of injuries. Laura has worked for over 13 years with the Canadian National Institute for the Blind and has served as a B.C. committee member and educator with the Active Living Alliance for Canadians with a Disability in the advancement and promotion of the rights of persons with disabilities. Laura is pursuing a PhD at the University of British Columbia (UBC), focusing on the examination and exposure of exclusionary practices and policies, and the use of innovative strategies that will reach the public, policymakers, and scholars. She is part of the UBC Public Scholars Initiative, which aims to promote scholarship done for the public good. Her doctoral research concentrates on exploring experiences and challenging (mis)perceptions of blindness in a variety of contexts. Laura is also a clinical tutorial facilitator, an occupational therapy teaching assistant, MOT research supervisor and a research assistant in the Department of Occupational Science & Occupational Therapy (OSOT).